Our Nursery Playrooms cater for children from birth - 5 years of age. We have our Baby Room (0-18 months), our Tweenie Room (18 months-2.5 years), our Toddler Room (2.5-3.5 years) and our Preschool Room (3-5 years). We also benefit from an extensive outdoor area. 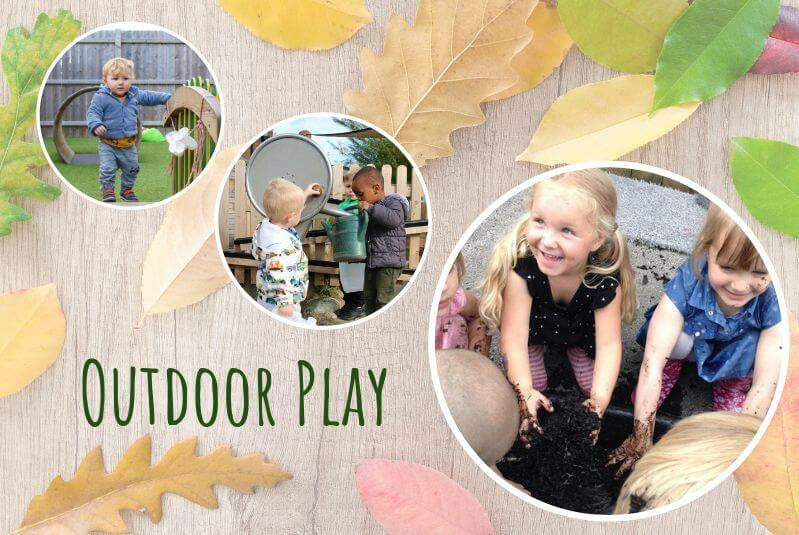 We love to get outside at Holyrood Swinton where we have a large outdoor area surrounding our building. We have found that our nursery offers the biggest outdoor space for your children in the immediate local area and we love to show it off! Our outdoor area can be divided into 4 separate age appropriate sections or opened up for all our children to play and learn together. Our children make full use of their outdoor area as well as regular trips out in their local community. To keep up to date with our recent adventures, follow us on Facebook for more regular updates.